"Rearranging heating spots more efficiently and adopting different levels to each means that cooking on multiple hobs is no longer an issue – especially if using larger pans. 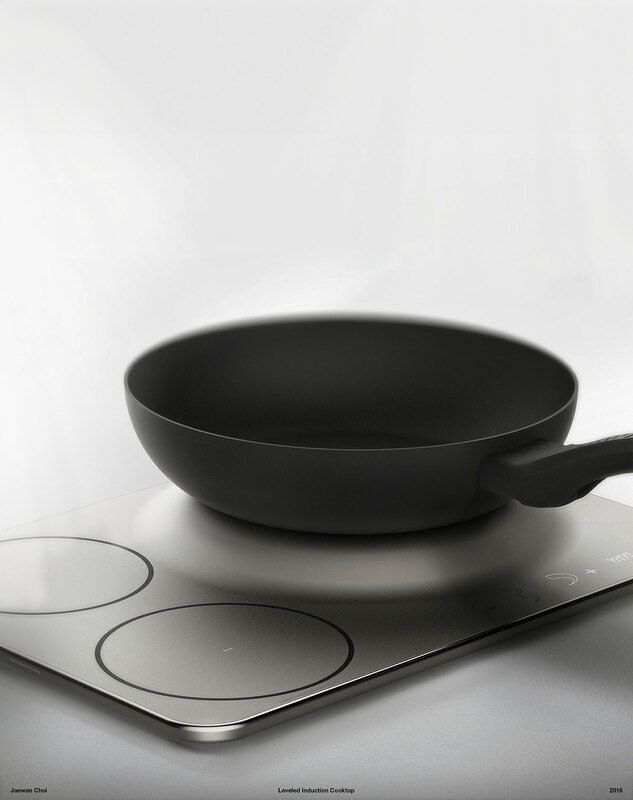 Increasing the convenience of a conduction hob, which is easier and safer to use than on gas, is an important next step, and something the Leveled Induction Cooktop has captured perfectly." 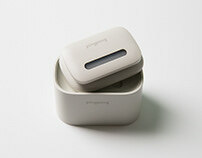 "Jaewan's Induction Hop is an example of how sometimes the simplest ideas can be some of the best. 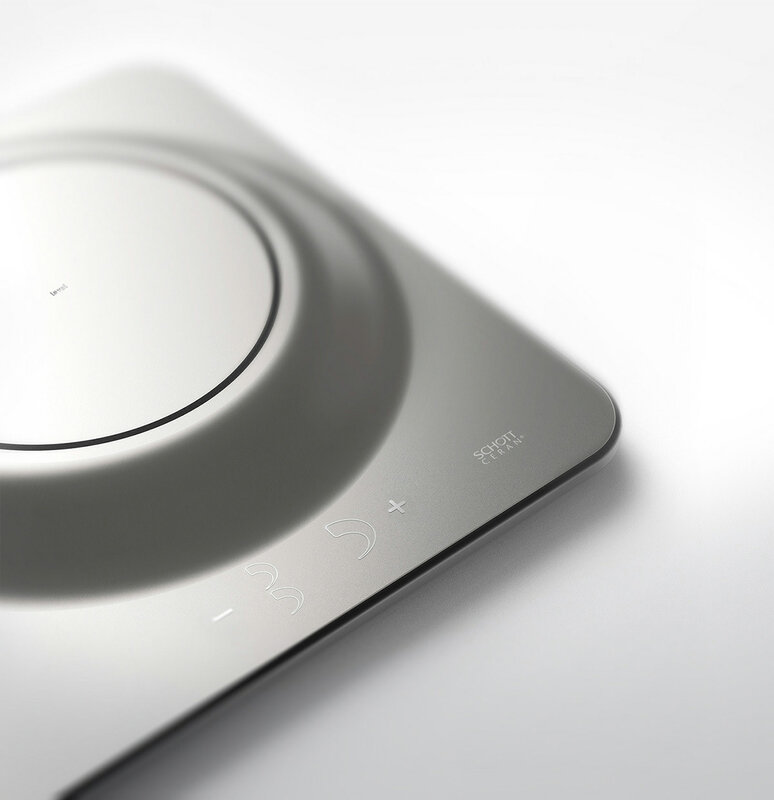 The Leveled Induction Cooktop solves the problem of lack of space on a cooktop by finding the hidden space between pans." It is such a common problem in everyone’s cooking time that each pan cannot place the right position upon the heat spot due to the narrow space of a cooktop. 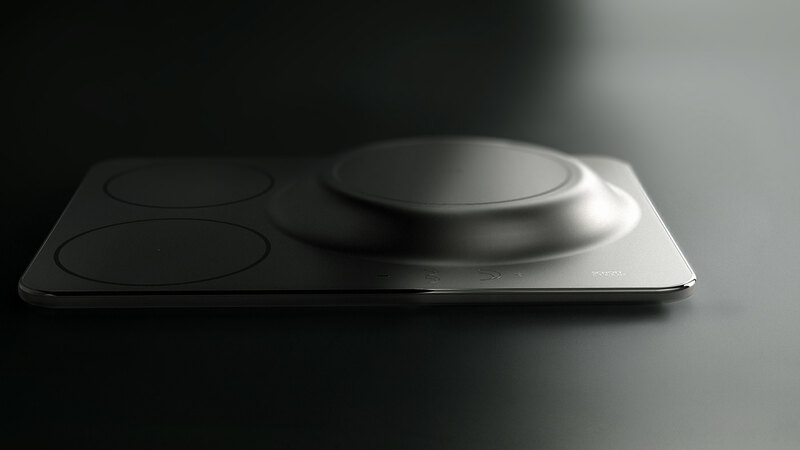 The Leveled Induction Cooktop solves this problem out through finding the hidden space in-between pans by re-arranging heating spots more efficiently and adapting different levels on each. It is not just maintaining its authentic function of the induction cooktop but intensifying the convenience of those products – easier and safer in use compared to a gas stove and less occupying the cook space in a kitchen. 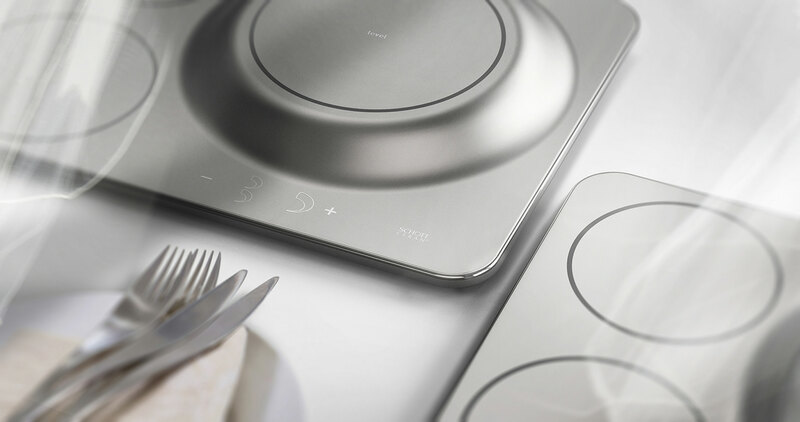 The Level Induction Cooktop even helps cooking several dishes at once as its separate button can set own times and heal levels on each heating spot. Universal pans are mostly u-shaped. A solution to produce an n-shaped induction that seems as a flipped pan and verified it through a mock up. 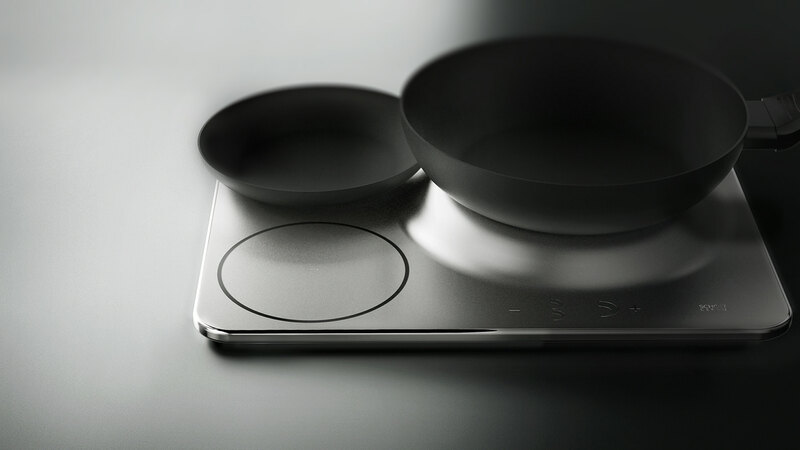 The Leveled Induction Cooktop maximizes the spatial efficiency by reducing the occupied space on cooktop area up to 20% comparing to the existing one with same the functional quality. 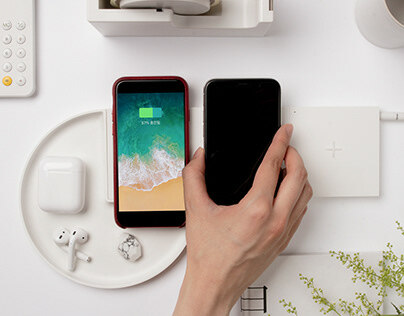 It is designed to be compact in order to give extra space and to simplify the installation process comparing to those with gas stove as well. It is convenient because people can prepare various foods at the same time by specifying different intensity and time. For instance, they can warm up the soup for 5 minutes with a strong intensity, and warm the water to make a cup of tea while frying an egg. 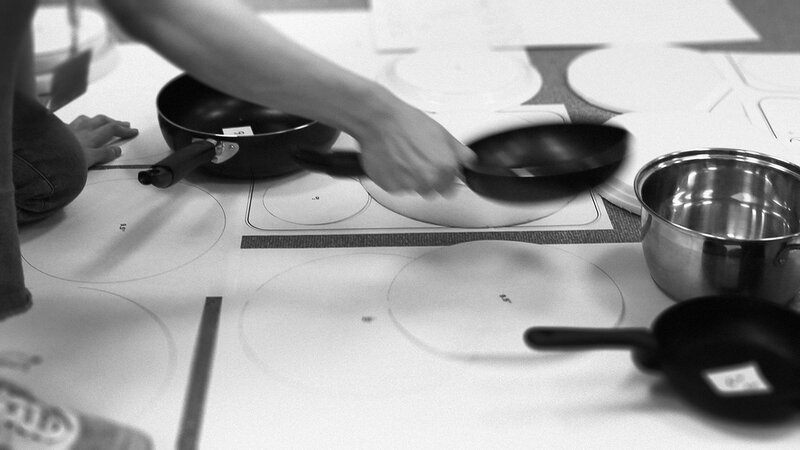 Various cooking utensils can be effectively arranged and cooked. With one light touch on the intensity control button on the bottom of the cooktop, the first level of temperature parameter, which is the lowest intensity of its temperature range, lights up to show the ‘function-on’ status. The next second and third touches on the same button will higher up the heat levels in a sequence of ‘Low- Mid-High-Higher’. Touch on the left side of the intensity button will show up its own individual cooking time, which is also adjustable. Longer touch on it will turn off all functions. Small houses and micro apartments increased due to the population growth and the growth of cities from many countries, especially from Asian countries. I thought about the form of inductions for people who live in the city, where space efficiency is important. At first, I tried various arrangements as I were concerned about the most suitable arrangement for the area where the heat comes out. (With the same method of 2-1 and 1-1-1). I had to face an unsolvable challenge about the most effective arrangement. As I were thinking about the problem, I thought about arranging the form of the induction as 3-dimensional, instead of 2-dimensional. After that, it took a long time to determine the size of the area of the heat that can accommodate the various size of frying pan. I have been studying for a long time about the most rational size of the induction. Also, I have been thinking about the design of the buttons that can designate the strength and the time to cook each food at the same time. Giving the height to the induction, the widest parts of the cooking utensils will not crash into each other when they are placed side by side. It was designed so that a wide part of the diameter of one bowl and a narrow part of the diameter of another could meet, allowing the placement of various cooking utensils. 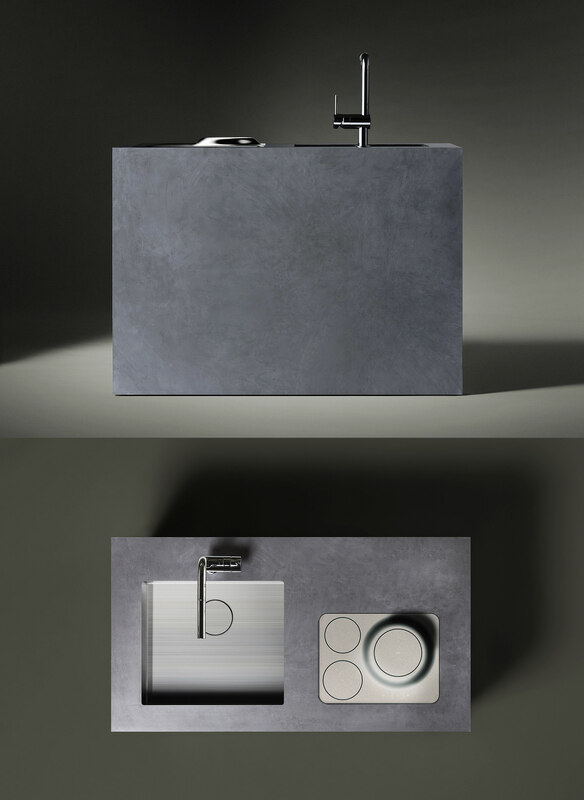 As a result, the induction size became more compact and the space efficiency increased within a small kitchen. As you can see from the side view, there are steps on the plate and the bottom so that they do not look thick. Backgrounds and Images for my design do not belong to me.